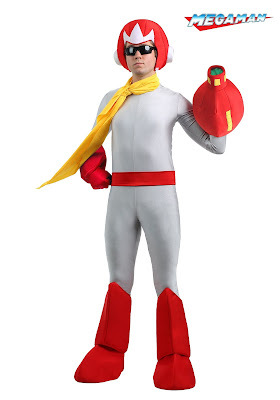 We all know Mega Man 2 will be featured on the NES Classic Mini later this fall. However, for anyone interesting in playing its Japanese counterpart - in addition to 29 other Japanese Famicom classics - you'll be pleased to know Nintendo just announced the Nintento Classic Mini: Famicom. Just like the NES Classic Mini, the mini Famicom comes pre-installed with 30 games and an HDMI cable to plug into modern high-definition TVs. Games can be played in their original 4:3 aspect ration or with a CRT-like filter. Games exclusive to the mini Famicom include: Yie Ar Kung-Fu, Atlantis no Nazo, Solomon's Key, Tsuppari Sumo, River City Ransom, Final Fantasy 3, Mario Club Golf, Downtown Street Challenge. You can check out the full list of games here. The Nintendo Classic Mini: Famicom will be available in Japan starting November 10th for 5,980 Yen. 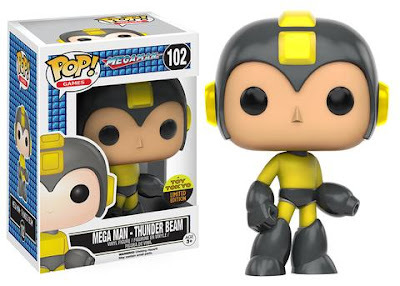 If you're going to the New York Comic Con in a couple of weeks, you might want to drop by Toy Tokyo's booth for an exclusive Mega Man Pop Vinyl. The Thunderbeam Mega Man variant will be on sale for show-goers from October 6th through the 9th. What's more, I'll be giving one of these away October 10th... for free! Stay tuned for the details! Good Smile Company will be in attendance at this year's New York Comic Con (October 6th-9th), the company announced. Among the many goods they'll have on sale for showgoers, you can treat yourself to the North American debut of Sentinel's 4Inch-Nel Dark Mega Man.EXE figure. 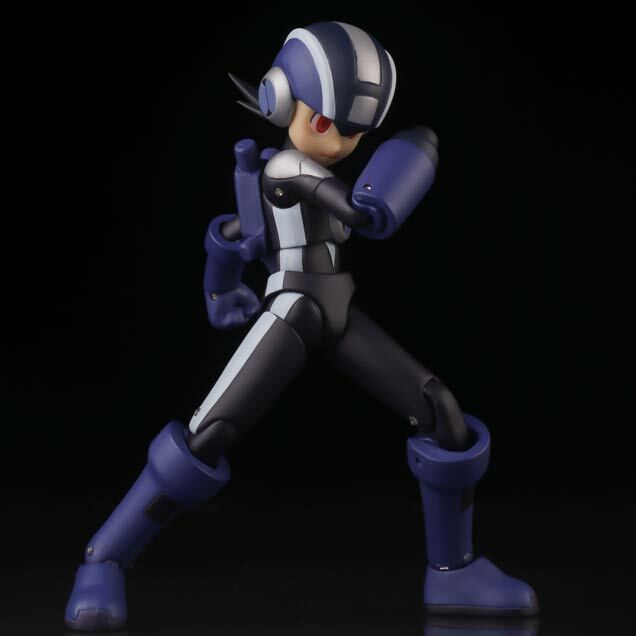 For times, pricing, and more information, head to Good Smile Co.'s NYCC hub. According to a new annual report released today, Capcom are aiming to release new mobile software based on Mega Man - in addition to Monster Hunter and Sengoku Basara - next fiscal year starting April 2017. 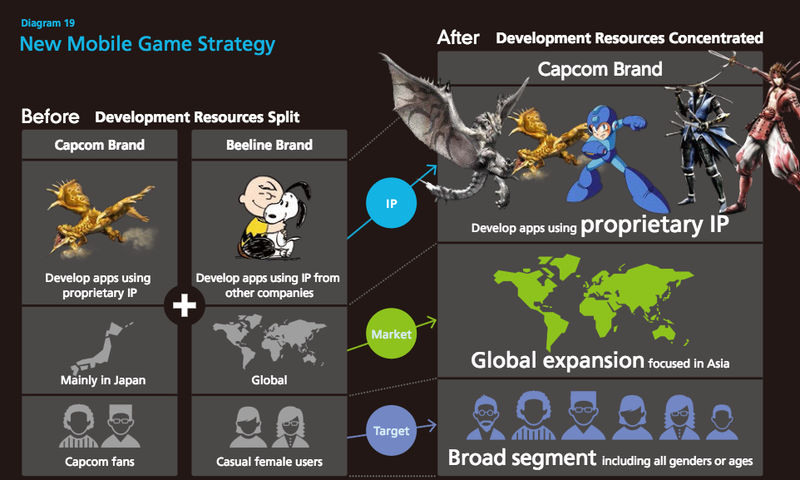 At least four titles from these brands are currently in development from Capcom's newly reformatted mobile department. These games were previously said to launch by the end of fiscal year March 2017. With the successful launch of these four titles, Capcom hope to achieve net sales of 4 billion yen (up 21.2% from the previous fiscal year). Only time will tell. Here's quite possibly our best look yet at Good Smile's upcoming Mega Man X Nendoroid. You'll find a few more images here. Still no word on release date or price; those details should surface any day now. Stay tuned! 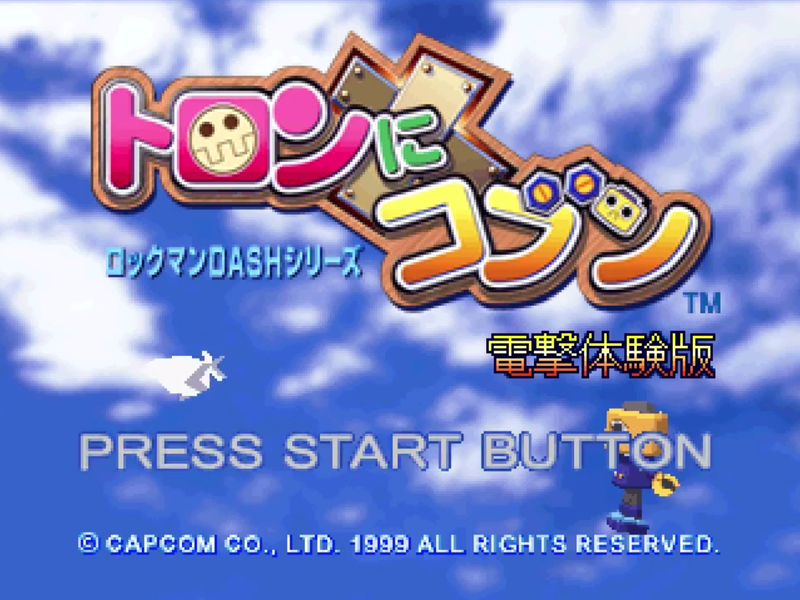 Thanks to the modding efforts of DarkShocker, you can now play Mega Man 7 with enhanced CD-quality music. A newly released patch takes full advantage of the MSU-1 multimedia enchantment SNES chip, delivering some pretty slick tunes. Take a look at the video above! If this is something up your alley, head to the video's description for the download links. Enjoy! 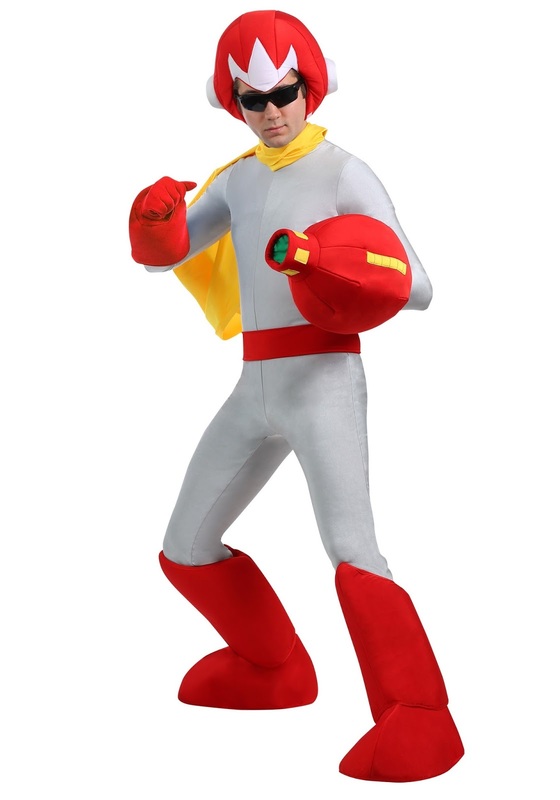 Following up on last year's spiffy Mega Man Halloween costume, HalloweenCostumes.com just launched an officially-licensed Proto Man costume for the trick-or-treat season. For a cool $69.99, you'll get everything you need - right down to the shades - to become the "red rocker". Grab yours here if you're so inclined. If nothing else, take heart we've been graced with some truly, truly magnificent stock photos. 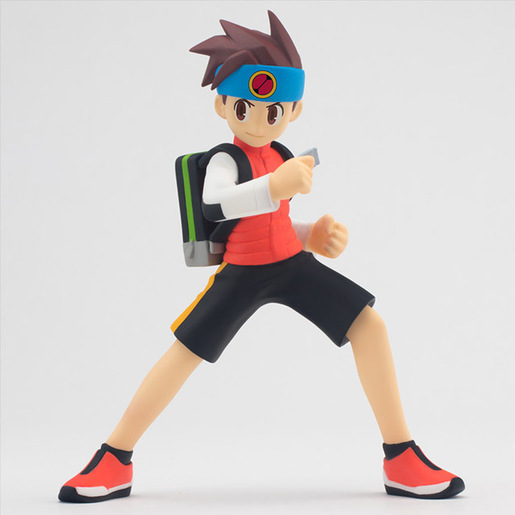 Hot on the heels of the Tokyo Game Show, Gentinel have begun accepting pre-orders for the 4Inch-Nel Lite Lan Hikari set. 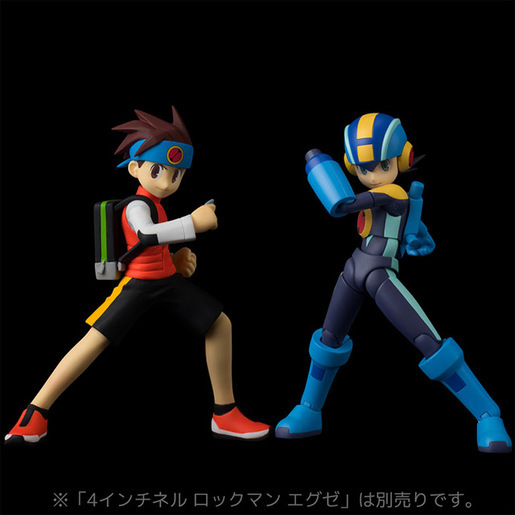 The figure + Mega Man.EXE upgrade accessories will set you back 5,400 Yen or roughly $52 US. The set is expected to ship in January 2017. Before you buy I must remind you again the Lan figure itself is *not* articulated (hence the 'Lite' title). 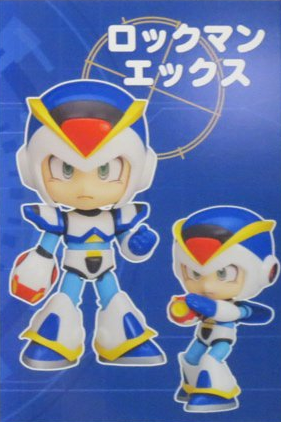 It's the same size and proportionate to the previous Mega Man.EXE figure, however. 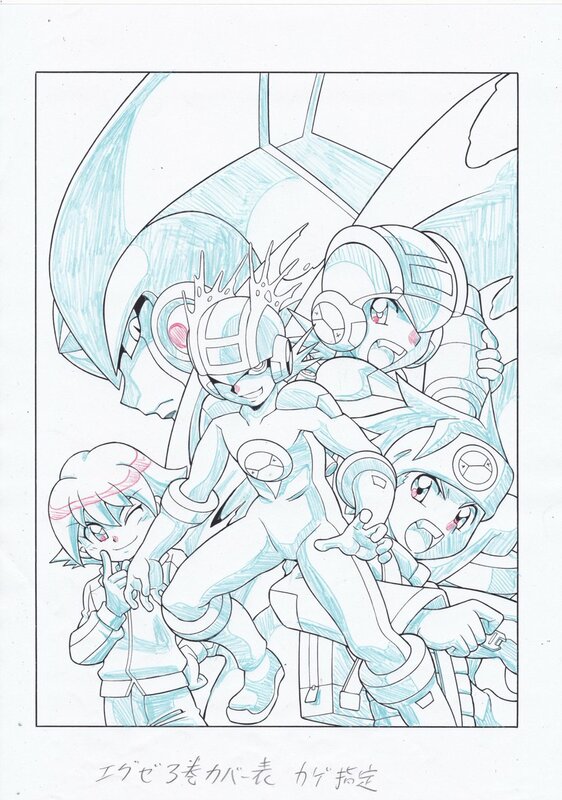 No Mega Man games at this year's Tokyo Game Show (a show of hands if you're surprised) but look at this! It's Good Smile Company's Mega Man X Nendoroid - in color! 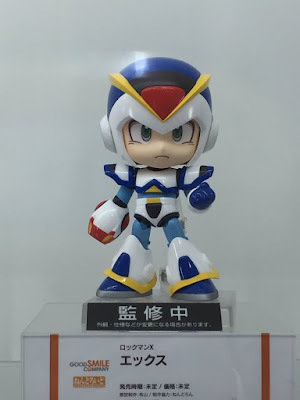 We've known about this figure for a little while now and according to this sign at TGS, pre-orders should be going live relatively soon. 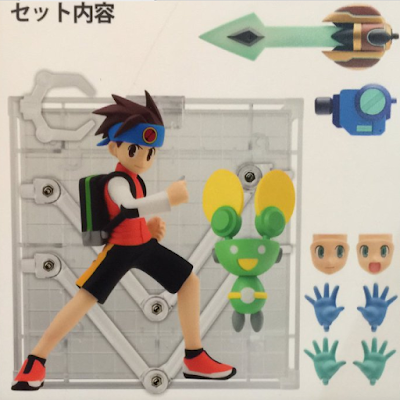 No doubt we'll see additional hi-res images in time, too. For the uninitiated, the figure is based on X's First Armor. 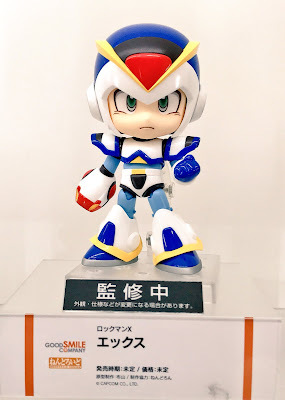 There are no plans for a vanilla X from Nendoroid at this time. 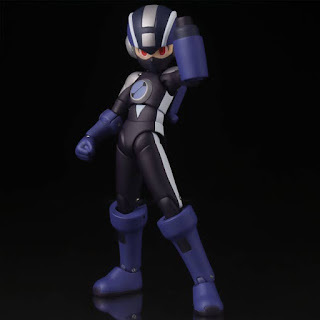 A Nendoroid based on Mega Man.EXE is also in development. Lan is expected to ship in January 2017 for an undisclosed price. Pre-orders go live on September 20th. Guys. Guys. It's finally happening! Here's a fun little nugget for the weekend: a rare Tron Ni Kobun demo featuring the very elusive Kobun #41. Originally bundled with PlayStation D magazine issue 21, this demo contains two Kobun training mini games (Attack Training Courses A~D and Speed Training Course Rounds 1~3). 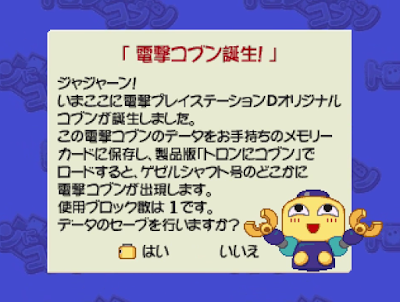 Successfully completing both nabs you the Kobun #41 save data for use with the full game. Aside from a couple different musical cues and sound effects, there aren't too many differences from the final retail version here. One really neat thing, though, is seeing #41's unique portrait. In the 17 years following the original game's release, it hasn't appeared *anywhere* else. I've yet to peek into the VRAM for any oddities lurking inside the demo, so who knows what could be in there. In any case, you're free to download it from a certain green button on the side of this page. Thanks to HF for procuring the demo! Out of context that's probably the weirdest headline I've ever written. 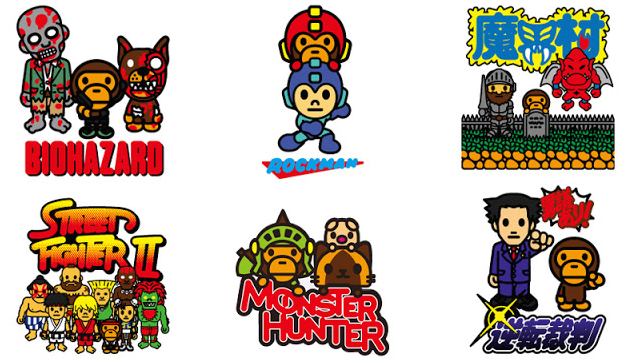 But sure enough, Japanese apparel brand A Bathing Ape (aka BAPE) recently announced its partnering with Capcom for a line of character-based t-shirts and handbags. The collection will make is debut at Capcom's Tokyo Game Show 2016 booth next week on September 15th. 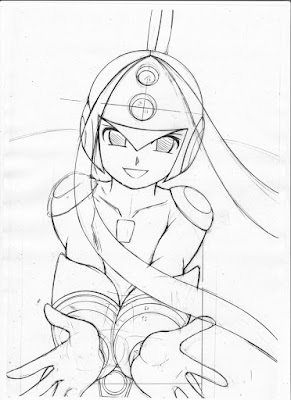 Fans of the blue bomber can see what's in store for TGS attendees after the jump. 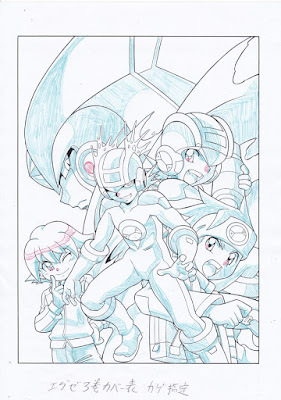 The year-long celebration of Rockman EXE continues with the renewal of Ryo Takamisaki's much adored manga adaptation. The author/illustrator recently took to Twitter to offer fans a glance at the next two Revised Edition covers: volume 3 on the left, 4 the right. 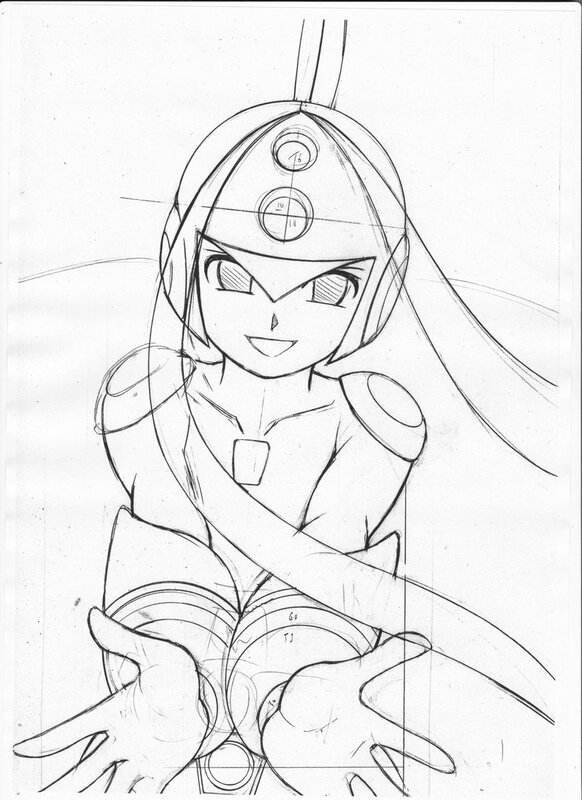 The Revised Edition project aims to chronicle the original 13-volume series into 8 books. As such, Revised Edition 3 incorporates elements from the 2002 vol. 3 and vol. 4 covers seen here and here. Revised Edition 4 -- very much in early production -- looks to spotlight Serenade front and center. 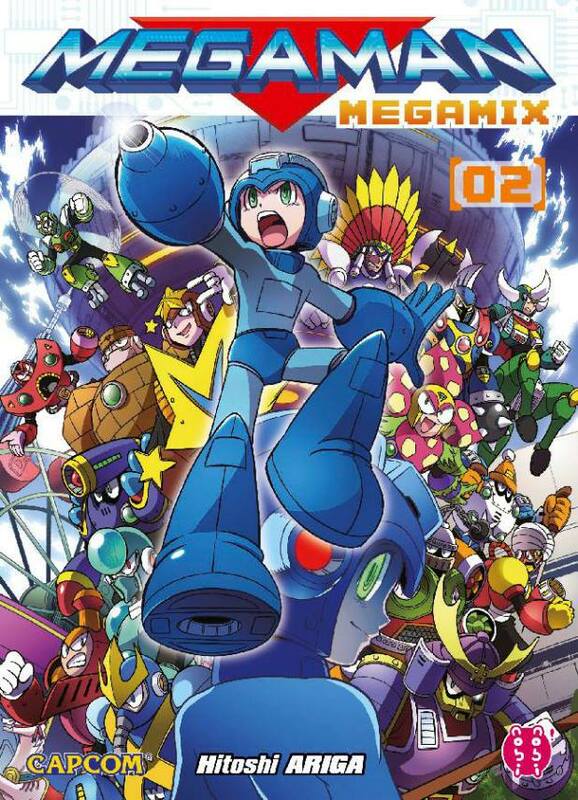 Revised Edition 3 hits Japanese retail later this month with volume 4 on the October burner. The series concludes in February 2017. Here's a pleasant little surprise for our friends overseas. 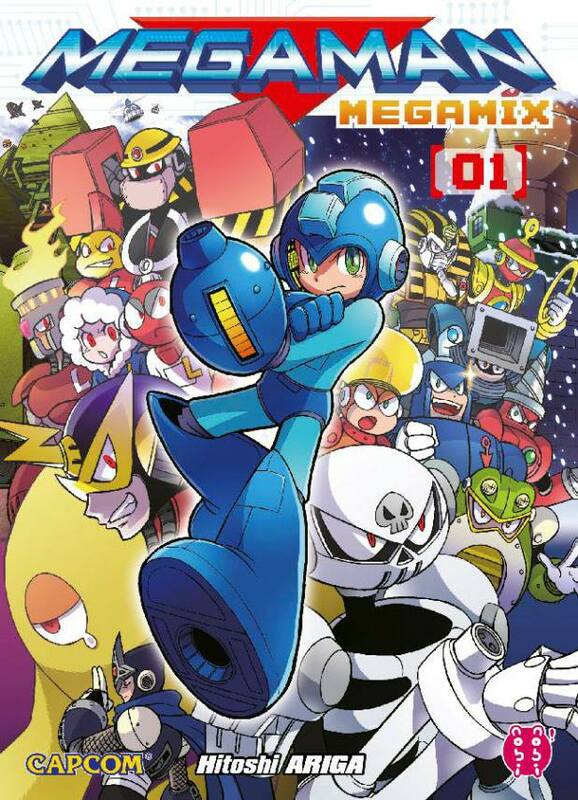 Publisher Nobi Nobi are rolling out the 2015 editions of Mega Man Megamix in France. The first volume is due to hit bookstores on September 7th with volume 2 coming later in November. 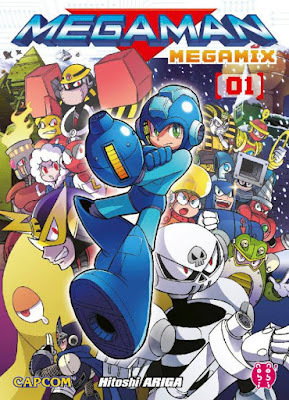 The 2015 versions of Hitoshi Ariga's magnum opus are notable for their new cover art, minor panel updates, and additional content not previously seen in past releases. Personally speaking, there isn't too much new stuff to warrant buying these all over again, but it's certainly a nice treat for Ariga die hards. No word yet on English versions from UDON. We shall see!